With Halloween coming up, I thought I would share a recent treat my 6-year-olds and I made that may be a hit in your home, too! 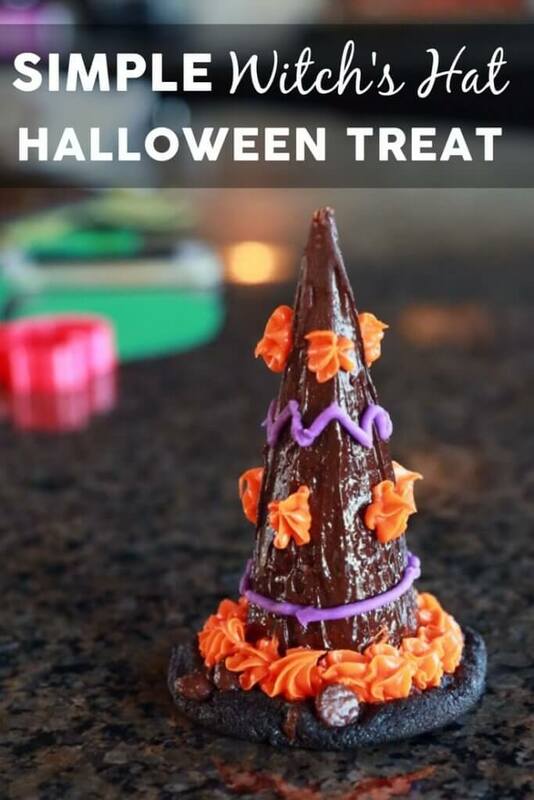 These adorable not-so-scary witch hat Halloween treats are super simple, and lots of fun for little ones of all ages. They only require a few ingredients and a little bit of time. 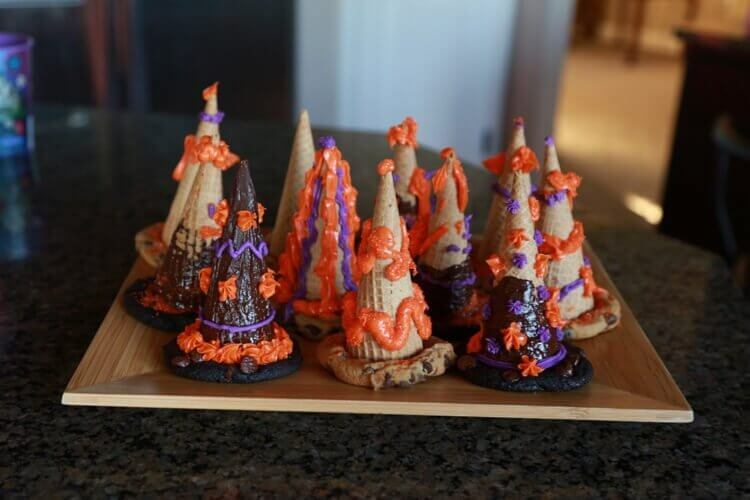 Not-So-Scary Witch Hats – a Simple Halloween Treat! 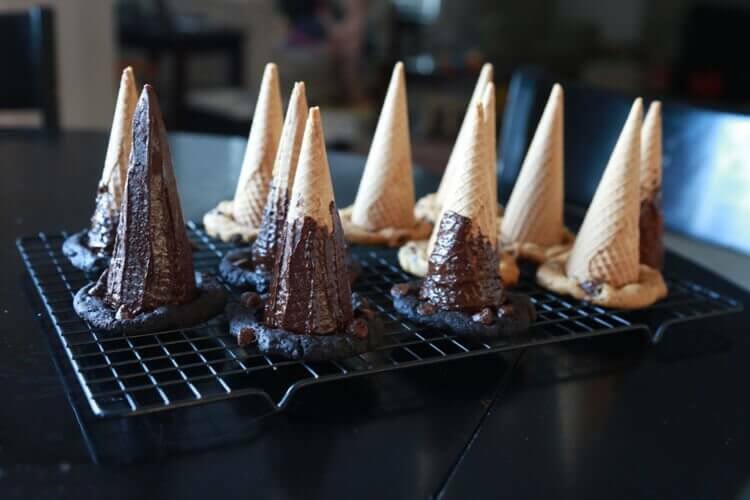 *If you can find chocolate sugar cones, they pair well with chocolate-based cookies without adding any work; as you will see, dipping plain sugar cones in chocolate works well, too! If you go this route, do so a bit in advance. 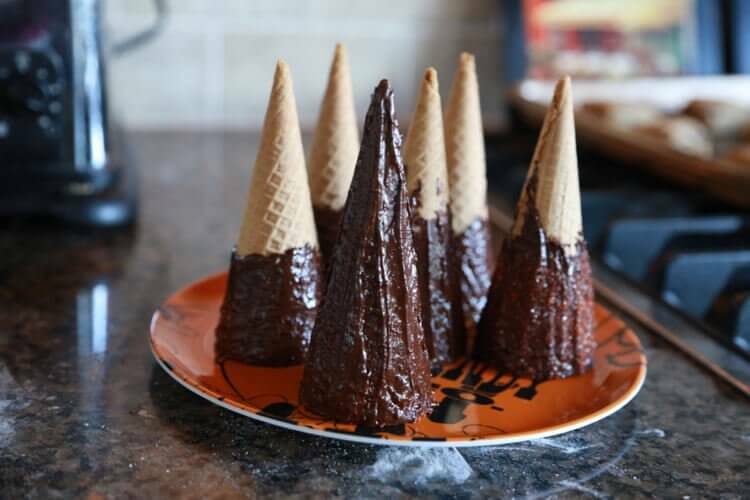 You may want to put any chocolate-dipped cones in the refrigerator to be sure they’re ready when you need them! 1. 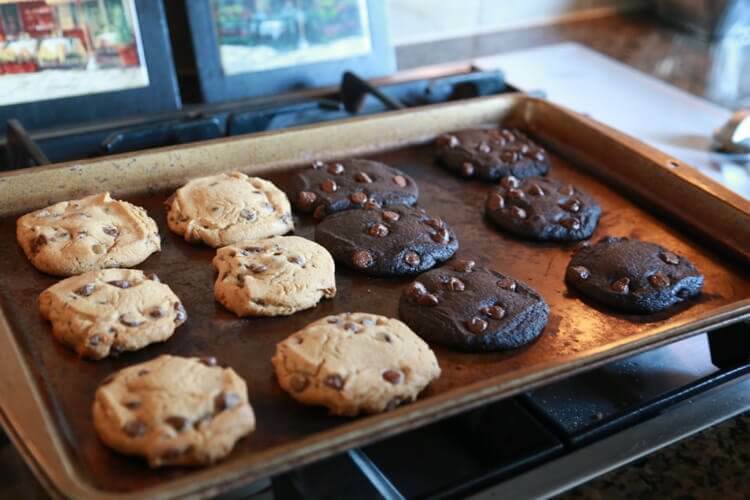 Bake cookies as instructed on package or per recipe. 2. While cookies are still slightly warm, press cones into the tops, point side up. Allow treats to cool completely. 3. 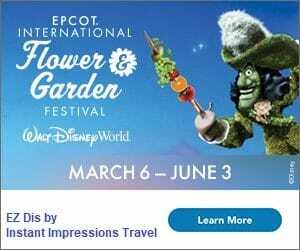 Decorate as desired… and enjoy! It really is that easy! As we were eating these, we realized they could be used for so much more: clown hats, volcanoes (with the top cut off and orange or red icing piped for lava), party hats… the possibilities are endless! These look so easy and fun. Can’t wait to give them a try.